Sylvester Stallone powerfully leads off John Horn's KPCC Oscars preview special. 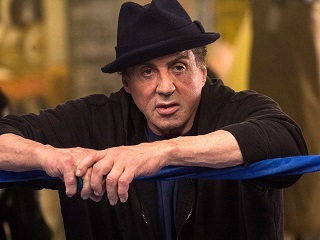 Stallone told Horn that the whole process “destroyed him for a while.” The actor had not worked in person with an acting coach since his college days. In a rare interview last year with The Daily Mail, Chubbuck, now in her early 60s, explained that she’s all about “empowering people.” Halle Berry famously thanked Chubbuck in 2003 when she won Best Actress. Stallone may well mention her name Sunday. The Frame’s Oscars preview special is also airing on New York’s WNET, San Francisco’s KQED and other public radio stations across the country ahead of Sunday’s big show.